Alford Image Library - Rubbish? 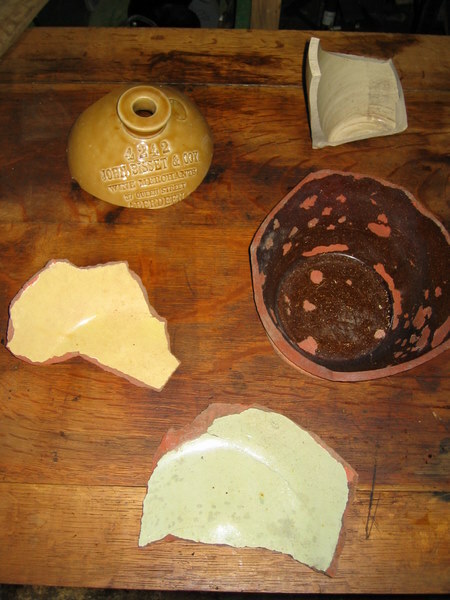 Also in the midden were these fragments of dairy ware and an old cider flagon (John Bisset, Wine Merchant, 37 Queen St, Aberdeen). Farming treasures from a midden and the floor of a steading.